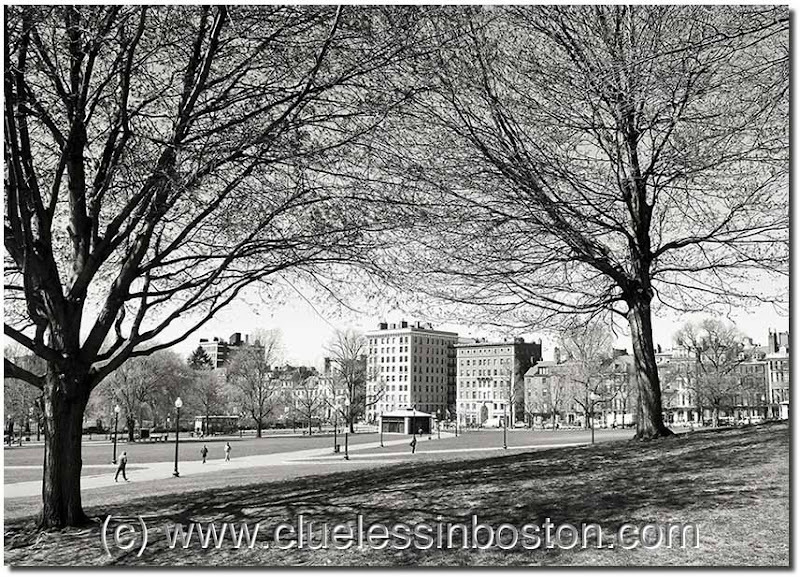 Looking toward the Charles Street, Beacon Street entrance of the Common. you can see spring waking. Nice. I like this in b & w.